"John & John Teel are a great team, even in a slow market. They sold our previous lake home located at the Richland/Chambers Lake last March of 2012.. They took great pictures inside and outside of our home. They showed our house, as well the next door neighbors, 6-8 showings weekly and the neighbor did not list their home by John and Julie. They sent pictures and detail information on our house which went out all over the world. We could go on and on about this team as to knowing their product, advice on price of home/amenities, and works 7 days a week and is always available 24 hours for their customers if they need it." "We want to thank you & your staff for the excellent job you did in getting our lots sold. It was a pleasure doing business with someone so professional and friendly. We will highly recommend your company to anyone that needs an excellent sales team." "RE/MAX LakeSide Dreams/John and Julie Teel. Many thanks for the extensive marketing and completing the sale of my home on Richland Chambers Lake. I sincerely appreciate all of your efforts." How likely are you to recommend John & Julie Teel? Julie found the exact lake side house on Richland Chambers that we were interested in. She and her husband have been a very important resource for local contacts such as contractors and local services. All of their references turned out to be very good service providers. I think the Teel's know everything there is to know about the real estate market in Corsicana and Richland Chambers lake. We are still woking with them on potential other real estate deals, and I would definately recommend them for others! How likely are you to recomend John and Julie Teel? 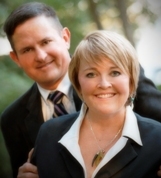 "How likely are you to recommend John & Julie Teel? John & John Teel are a great team, even in a slow market. They sold our previous lake home located at the Richland/Chambers Lake last March of 2012..
We could go on and on about this team as to knowing their product, advice on price of home/amenities, and works 7 days a week and is always available 24 hours for their customers if they need it. "I just received the closing documents you sent us to help with our tax prep. Thank you so much for doing this. Just last week, Paul and I were groaning at the thought of digging through the stack of documents for this info. It was such a whirlwind move and closing and everything that this info just got buried. You saved us!! Thanks so much for such great help! "It has been so nice getting to know you through the ordeal known as buying a house! Thanks for all your patience - I know it required a lot." "Julie treats every deal with importance regardless of the amount of money involved. She is a hard worker, has a good personality, and is honest. Julie is very easy to work with." "Out of 5 realtors, Julie was the only one who called me back. When things started to slow down, she sped it back up to pace. Julie knew what we wanted and found it." "We really appreciate you for helping us get our dream home. We know how hard you worked behind the scenes to make everything fall into place. You are our realtor, but have become our friend as well. Thanks for going the extra mile." "I have known Julie since high school and have always heard good things about her & RE/MAX. I was always able to talk with her anytime I needed to by phone, texting, or Facebook. We are thrilled the sale went so smooth and so fast." "Thank you for selling my house. It was a pleasure working with you all the way. I just wish we had used RE/MAX a year ago. God bless you all with continued success." "Julie's Christianity is apparent in all she does. She is honest, friendly, & has a good reputation. Julie is professional and has a great depth of knowledge relating to real estate. It was fun!" "Thank you on behalf of Central Methodist Church. I feel you handled our "seller part" of the closing in a very professional manner and felt you were on top of things. Thank you again." "I was looking for a Realtor with drive and reputation, and I I found Julie to be straight forward and to the point. She did not waste my time nor her own. I am looking forward to a great 2010 with Julie." "Julie is very knowledgeable about the real estate market. She is very easy to talk to and cares about her clients. We were informed every step of the way - great communication!" "Julie was very honest when looking at houses and gave her honest opinion. She was great throughout the whole thing. I loved the way she explained everything to me. She gave 200%! When she said she would do something, she did it." "You have been an integral part of our new life together. We can't thank you enough for helping us with the house. Thanks for all that you are and all that you do!" "You came highly recommended by family, and you worked very hard to do what was needed to make the deal close."